The increasing use of smartphone is steadily replacing computers. Use of voice search is also increasing. These cult-defining trends are compelling search engines to update their products or introduce new ones. As for instance, Google My Business. More than 90% of smartphone users use their mobiles to perform local searches. Above 43% of shoppers search online before buying locally. Approximately 97% customers go online to find out local businesses. Once you complete the listing, your business’ name, address, and contact details will appear to the searchers searching using your industry-relevant keywords. Precisely said, it is a source of generating leads. If your business doesn’t have a website, then also you can use GMB for the same purpose. Moreover, you can choose Google AdWord’s Express to start your ads. GMB is fully free for its users. But, your business should have some physical address to avail its benefits. Otherwise, you’re not an eligible candidate for it. Service Area: In case, you don’t have a storehouse, you can give service to the chosen area by listing your profile here. Different Brands: For businesses with presence in multiple locations having various brand names. Chain: For businesses located at several places. What You Need To Create Google My Business Listing? How to Create Google My Business Listing? Log into Google My Business account. Verify whether the Company’s name is already exist. If it’s not added, provide details of your company like name, location, postal address, phone number, operational area, business hours, and payment options. Fill up all the blanks. Once you’ve double checked the info, click the submit button. 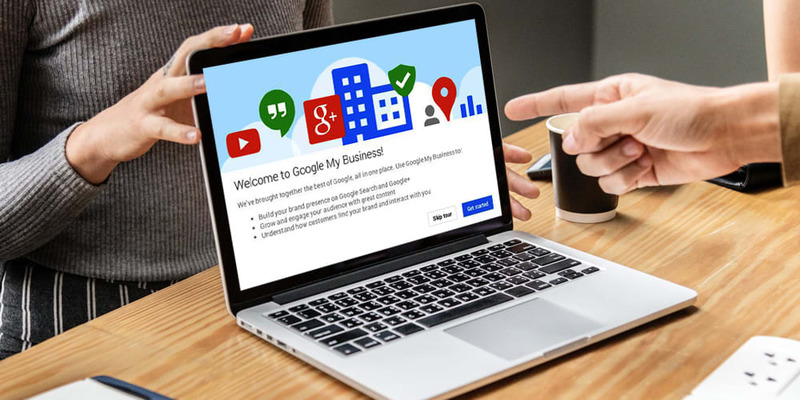 Google uses phone, email, postcards, and both bulk and instant verification to verify your provided info about the business for listing it in Google My Business. When the listing becomes live, Google Search will show up your business at different places through Google search, including Google+, Knowledge Graph and Google Maps. As a result, your users while search what your business is offering, your operational area along with the company’s details will be shown to them. How Google My Business Helps You? It gives you the opportunity to update your business info. Consequently, you’ll be able to add more value to your business by letting it appear on different Google products. You can manage and streamline your business information using GMB. It increases the site’s traffic and ensures both local and international transactions hassle-free. You can monitor the customers’ feedbacks through it. In addition to it, GMB also allows to you to respond immediately to the queries of the audience. GMB may suspend your account if it finds the provided info to be inaccurate. Therefore, follow its rules strictly to leverage its potentiality. You are not allowed to create duplicate listings for the same company. Report to Google if you find a third-party’s business info has appeared on your listing. Remove your account from GMB if you’ve closed the business permanently or temporarily. Clear up all ownership transfer issues. Follow the steps carefully while creating GMB listing after the transferring ownership from the primary owner. Check your NAP. Make sure you’ve not done any mistake while filling up the form. Also, check the location’s code. Never create separate listings for all the specializations you’ve done in a specific field. Google My Business is a powerful tool to make your company attract customers from your locality. Follow the guidelines properly to get a good rank in SERPs. Learn more about its benefits .